Along the engagement season, Danhov Jewelry Designer presents uniquely handcrafted diamond engagement rings made in Hollywood, California. Delicate and pretty rings are all you need to tie the knot with your special one. Any Danhov ring can be custom made to your specific choice of metal; 14K and 18K white, yellow or rose gold and platinum. Also every ring can be made in every shape of diamond; oval, cushion, round, princess, asscher, etc. Exquisite design of oval cut diamond engagement ring in platinum. Super chic rose gold engagement ring that will sparkle bright on her hand. Unique swirl design rings for women from Abbraccio Collection. Elegant halo engagement ring uniquely designed for classic style lovers available in all gold colors. 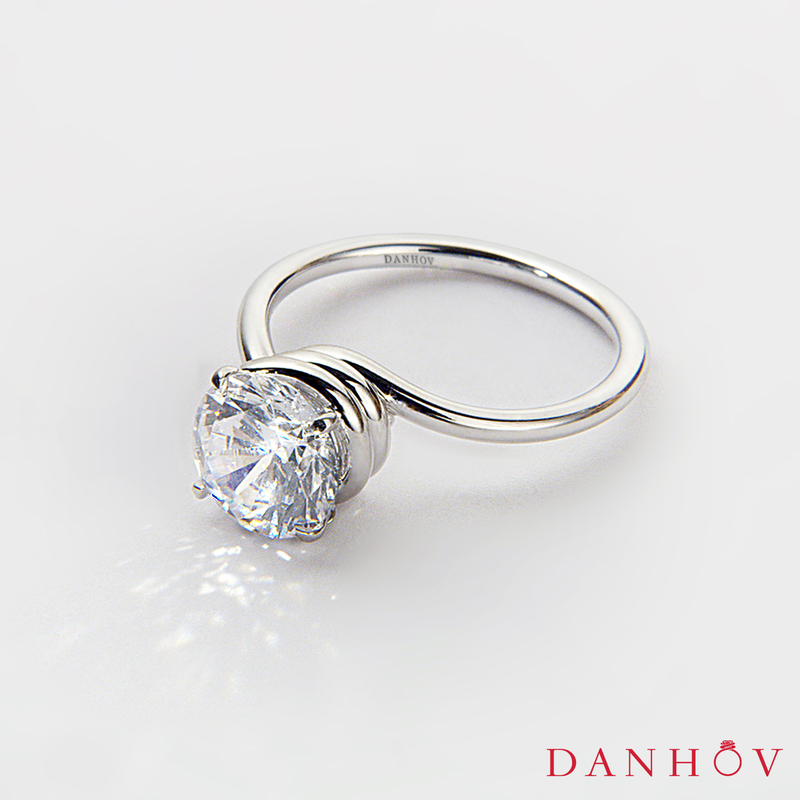 Life is short to choose mass production, Danhov offers only hand-assembled designer engagement rings. 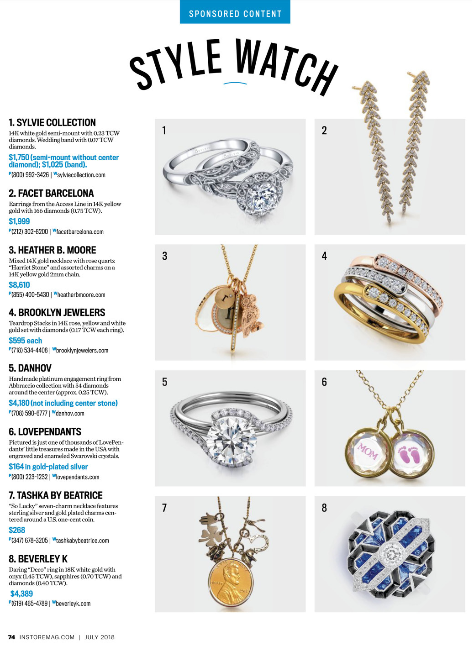 May-June 2018 issue of Bridal Guide features a stunning set of newly designed halo engagement rings. 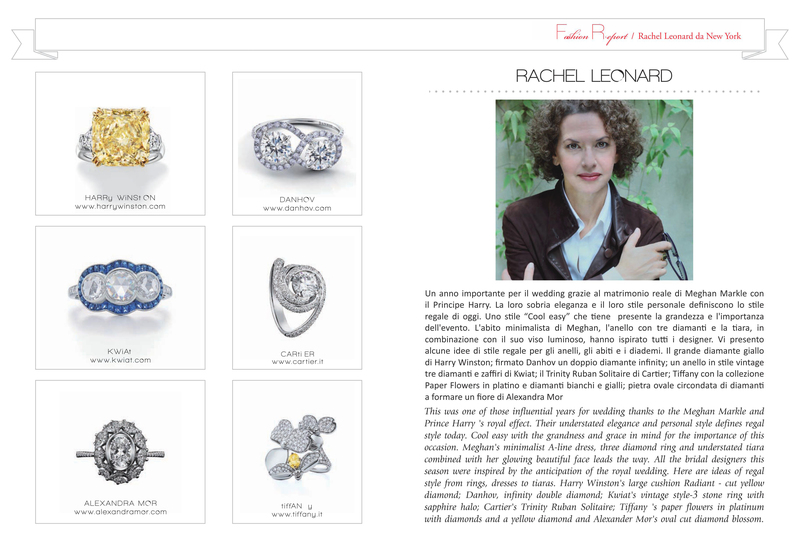 We’re honored that our Danhov handmade double diamond shank with single halo set around center stone engagement ring from Per Lei collection was chosen as an admirable piece for publication. Per Lei collection designer diamond engagement rings sparkle and shine as bright as a woman in love. 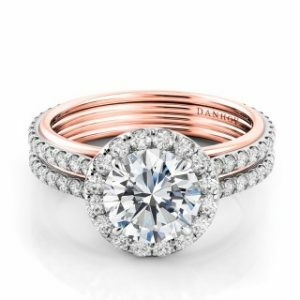 LOS ANGELES (March 1, 2018) – Award winning designer of handmade engagement rings, wedding bands and fine jewelry Danhov is pleased to announce Nvard J. Sununu as Director of Marketing and Communications. Within this position, Sununu will be responsible for overall marketing strategy of Danhov, she will plan and implement marketing and public relations campaigns to boost Danhov brand development throughout the US, Canada, Europe and Asia. 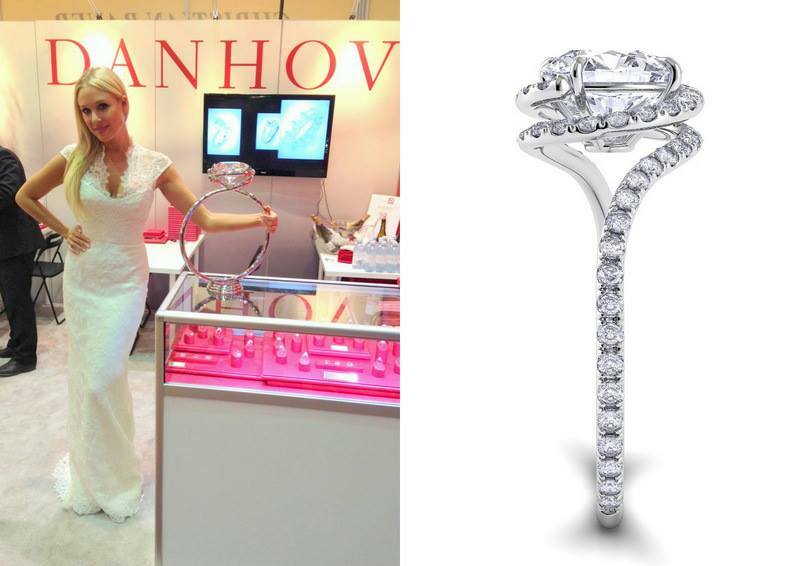 “I’m very excited to take this new role in such a well known fast growing fine jewelry brand as Danhov. The future is exciting, with new products and campaigns exclusive from Danhov both for our retailers and clients all over the world,” noted Sununu. “Nvard is a great asset to the team thanks to her intelligence and experience. We hope to grow together as Danhov is expanding and will enter new markets in 2018”, mentioned Jack Hovsepian, designer and owner of Danhov. 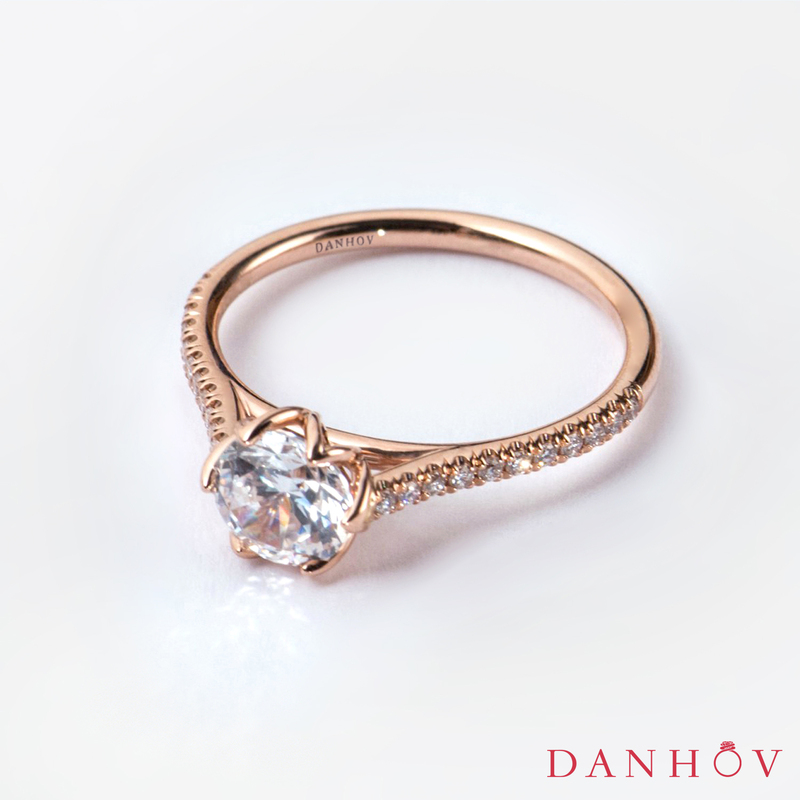 Danhov is an award-winning, luxury designer of unique and handcrafted engagement rings and wedding bands. Celebrating more than 30 years in business, Danhov is known in the luxury jewelry category for its innovative design philosophy. Founded in 1984, Danhov continues to operate and produce all jewelry in the USA. Each ring created by Danhov is either handmade or hand-assembled, one ring at a time, by the most skilled jewelers in its California-based offices. This further exemplifies the quality, precision and individuality for which Danhov is known. To experience the uniquely handmade collections of Danhov, visit danhov.com. If your love story has reached its pinnacle and you are planning to tie the knot with your partner this year, you may need to know the top engagement ring trends for 2018. Whether you prefer classic or modern engagement rings designs, there is wide range of trendy one of a kind designer rings for your choice. Danhov Jewelry Designer presents the latest uniquely handcrafted bridal jewelry trends for 2018. Though round cut diamond designs are in demand, elegant oval shape engagement rings have become fashionable and trendy influenced by some celebrities with oval diamond engagement rings such as Serena Williams, Ashley Greene and Kirsten Dunst. Oval cut diamond rings are unique and seem larger than same size square or round cut diamonds, besides this elongated style makes your fingers look long. Three stone engagement rings are classic. You can choose any diamond shape and color combination as it gives you wide scope of options. This classic style became more popular after Meghan Markle and Prince Harry engagement. A big cushion shape center stone with side diamonds was spotted on Meghan’s finger. 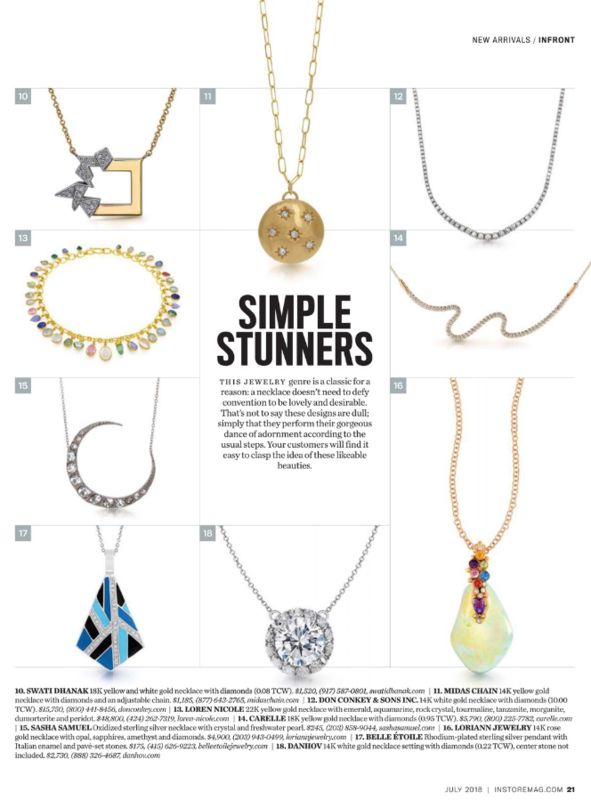 This feminine, flattering alternative to traditional popular metals such as white, yellow gold and platinum, has is trendy in everything even smartphone accessories. Many of the Hollywood elite, for instance, Blake Lively, Alison Brie and Lauren Conrad, were seen wearing rose gold engagement rings. Rose gold engagement rings can match and mix easily with other metals and look just gorgeous on your finger. If you would like to stand out from the crowd and leave white diamond engagement rings behind, don’t worry, there are lots of amazing alternatives to traditional engagement ring trends for 2018. 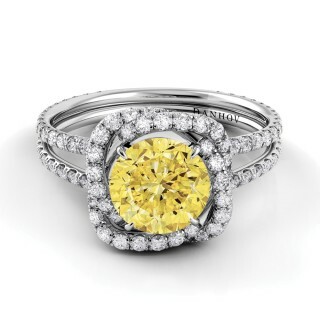 Yellow and pink diamonds, sapphires, rubies and emerald engagement rings are also great choice as colored gemstones have increased their popularity and trendiness among brides-to-be this year. Salma Hayek and Kate Hudson have been spotted wearing yellow diamond rings, while Blake Lively has showed off her pink sparkling ring. Another unique designer engagement ring popular options are split shank engagement rings in 2018. What can be more gorgeous and outstanding than having a band which splits into two strands at the top and elegantly frames your desired center stone sparkling on your finger.